Greetings, patient servants! 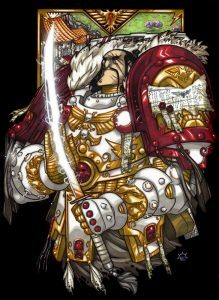 Walrus and Roscoe welcome you with an episode, Live from ExoFest, as we begin to round out our last set of Primarchs! This week, we discuss Jaghatai Khan, the lone warrior, and the dangers of isolation and indecision as his own vision for himself and his Legion leads him off the reservation, and in pursuit of the answers his own Brothers all had in hand. Sponsored by: Nomadcrafting.co.uk, Give him a look for all your crafting needs!